Thinking of a trip to India? You won’t go wrong starting in Goa. Goa may be the smallest Indian state by area, but what it lacks in size it more than makes up for in the impact it has had on India’s – and the world’s – history. Situated on India’s south-western coast facing the Arabian Sea, Goa has been central to the trade of goods, rare treasures, people and ideas since ancient times. Whether you’re interested in history, food, culture, the arts, or just want to lay about on the beach downing beer and seafood in abundance; Goa is for you. Although Goa has seen continuous inhabitation since prehistory, perhaps its most tumultuous and lasting period was during the 1500’s, when Goa came under the dominion of the Portuguese. The amalgamation of Indian and Portuguese cultures is still present in Old Goa, the capital until the 1700’s. Visitors looking for things to see in Goa will love the wealth of churches that echo hints of both Indian and Portuguese design, such as the Basilica of Bom Jesus. The interaction between Goa and the Portuguese also gifted much of Asia with the king of spices, the chilli pepper. Originally from Central and South America, the Portuguese spread the fiery ingredient across Asia in the 1500’s. Today, India is the world’s largest producer of chillies, and no trip to Goa would be complete without visiting one of the many spice farms that still dominate the countryside. 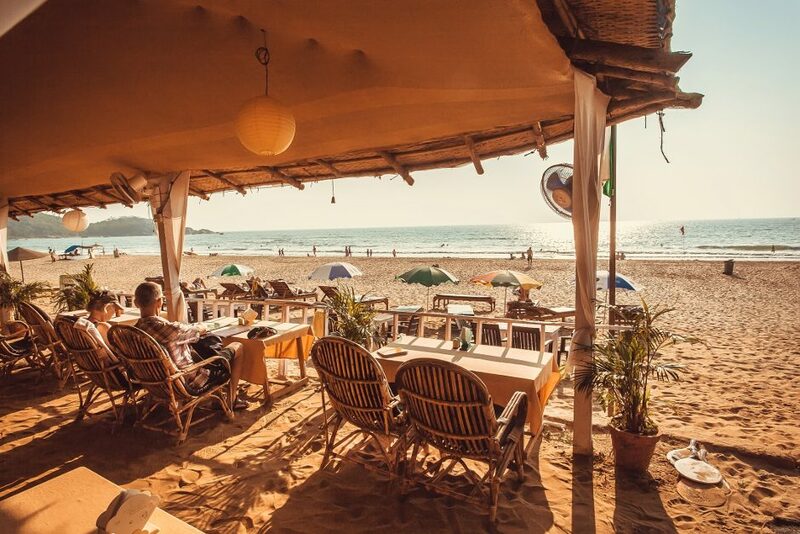 By day or night, Goa’s beaches are world class, and there’s plenty to do. Top beaches include Mandrem Beach in North Goa, which is said to be one of the most beautiful beaches in Asia, Baga Beach, which is renowned for its laid back ‘beach shack’ feel, and Candolim Beach, which boasts fantastic sunsets, watersports and frenetic nightlife. For more a laid back vibe, head to Cavelossim Beach, located at the mouth of the Sal River. From the beach, you can take a cruise upriver and see traditional villages, agriculture and beautiful inlets. More recently, Goa has become a destination for musicians and artists from around the globe and within India itself. Arts-loving travellers looking for a taste of the new can choose from a wealth of music venues, art galleries, theatre and traditional arts to sate the senses. We were heartily surprised – and impressed – to learn of Benaulim’s budding indie-Jazz scene, led by the Art Escape Goa. Whether you’re travelling solo, as a couple or bringing along the whole family – you’ll find plenty to do in Goa next time you visit.